Monique Coleman, star of the High School Musical films, was recently invited to speak at the United Nations for International Year of the Youth as part of Monique's promotional visit to garner global awareness of her movement, 'Gimme Mo'. GimmeMo' is an online talk show hosted by Monique launching on September 8th with the intention of empowering today's youth. 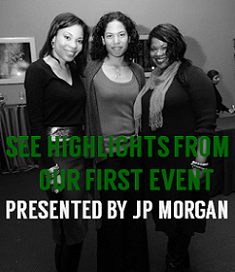 She will facilitate conversations about real issues, bringing awareness to organizations that are serving teens, and conducting celebrity interviews. Visit the website at http://www.gimmemo.com/. 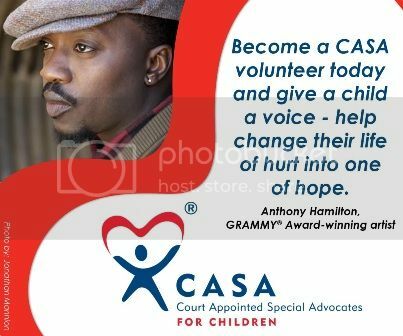 SEATTLE, August 16, 2010 /PRNewswire/ — The National Court Appointed Special Advocate (CASA) Association announced today that GRAMMY Award-winning R&B recording artist Anthony Hamilton will serve as a national spokesman for the organization. Through the use of a :30 PSA, Hamilton will work diligently to recruit African American male volunteers for the national nonprofit organization. He will also represent CASA at national child welfare conferences and events around the country to raise awareness of the growing number of African American children in the foster care system. David Soukup, a Seattle Superior Court Judge, developed the CASA concept in 1977, after becoming concerned about making decisions on behalf of abused and neglected children without enough information. 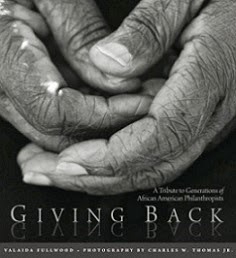 He conceived the idea of appointing community volunteers to speak up for the best interests of these children in court. Today, there are more than 70,000 CASA volunteers who advocate for more than 230,000 children in the foster care system. These caring adults serve as fact-finders for judges by thoroughly researching the background of assigned cases and ensuring that they are brought to a swift and appropriate conclusion. In the United States, more than 152,000 African American children are in the child welfare system, with boys representing more than half of the children in foster care; yet there are only 8,400 African American CASA volunteers. Hamilton will work alongside Judge Glenda Hatchett, who has been a national spokeswoman for CASA for the past seven years, to raise awareness of the organization and to recruit volunteers. For additional information about becoming a CASA volunteer, call toll free (800) 628-3233 or visit www.CASAforChildren.org.